Have you ever had the occassion to see or listen to a particular thing once, having one impression and then, on a later second ocassion, have a completely different impression? 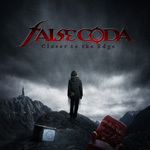 That was almost exactly my experience with False Coda and their debut album Closer to the Edge. 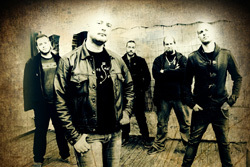 False Coda: another happy metal band. On the first listen I thought I heard some power metal with some progressive metal nuances and lots of neo-classical guitar. Upon the second listen, the music struck me more as straight progressive metal, though dark, sharp, and piercing. Yes, there's some fine guitar leads, neo-classical and otherwise, but this is not strictly progressive power metal. Maybe I wasn't paying attention the first time, but my second impression is probably the more accurate of the two. Unfortunately, this conclusion also led me waver between ambivalence and dislike of Closer to the Edge. The songs are not without some merit. But from the start, I got the feeling that False Coda came to the studio with a thousand musical ideas and then put them together in a formless creation much like assembling Tinker Toys while blindfolded. The result was a song like Code of Kindness or Picture becoming nearly tedious as they bumble along in an attempt to be both meticulous and innovative. Also, after some time, my ears tired of the heavy piercingly sharp riffage that riddles nearly every song. I also tired of the vocals, either because it seemed Manos Xanthakis was getting beat up by the music, and so I felt sorry for him, or I simply didn't like his singing. What was interesting, however, is how guitarist Vasilis Milios could weave a tapestry of styles from rock to metal to nearly some jazz fusion. You might catch the latter in Simple Rules and Respect. In the end, there's definitely some talent with False Coda, and I suspect they will only improve in the future. 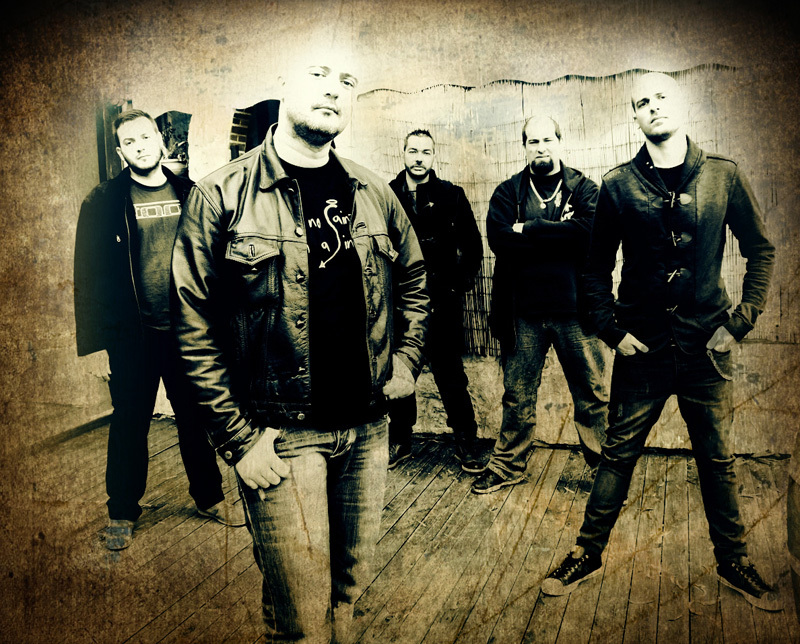 With Closer to the Edge, upstart Greek band False Coda offers progressive metal, though heavy, dark, and piercing, with mixed results.